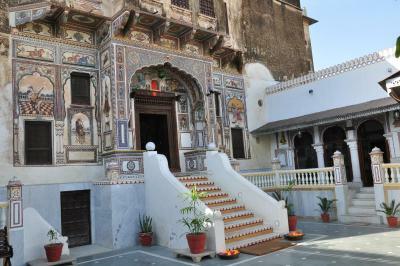 Lock in a great price for Hotel Radhika Haveli, Mandawa – rated 9.2 by recent guests! 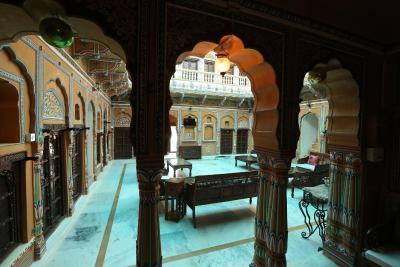 The Haveli is beautiful, and the rooms are all different with quite a bit of charm. The staff is supportive: we were offered a wifi relay station when the host noticed we were sitting in the central court to check emails. 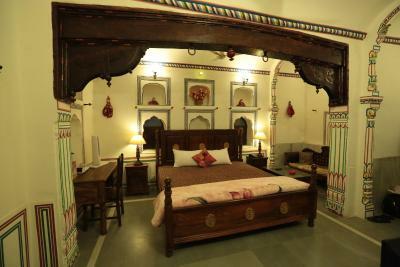 Room was very colorful and pleasant - bed was very comfortable. The staff were super friendly and engaged. Good location. Very clean property. Large room very comfortable. 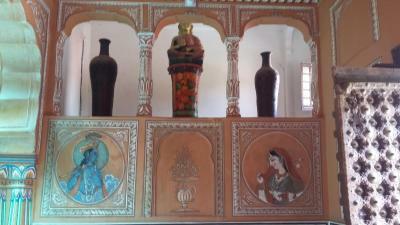 Nicely decorated rooms. Hot water. Staff very good -made us feel like guests in their home. Met our every need. Breakfast served. as early as we wanted and very good - many fresh fruits and good coffee. Dinner the previous night was also delicious We are very happy we stayed in this hotel. What a nice surprise! Beautifully restored havelli, gracious hosts, good food, and great location. ENJOYED OUR STAY THERE. WE HAD 4 ROOMS. STAFF WENT OUT OF THEIR WAY TO MAKE US COMFORTABLE. DINNER WAS GREAT AS WELL AS BREAKFAST. ALL STAIRS NO LIFT BUT HAD PORTERS FOR LUGGAGE. GREAT LOCATION IN THE MIDDLE OF THE TOWN..
Beautiful hotel! Well preserved and very clean. We ate at the restaurant rooftop. The food was delicious and the view amazing. 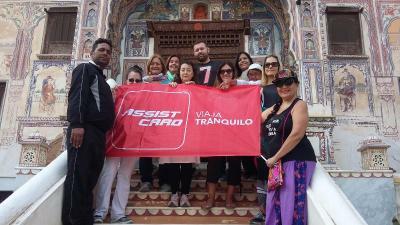 The staff was attentive and helpful. Good location. Beautiful garden. 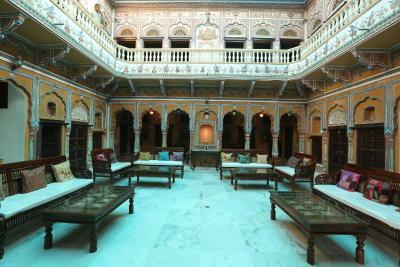 The haveli has been beautifully restored and gives a true haveli experience. 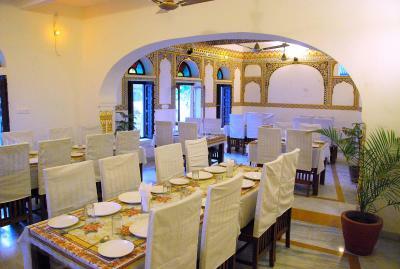 The personalised yet professional approach of the staff, the ambience, cleanliness, excellent catering services. 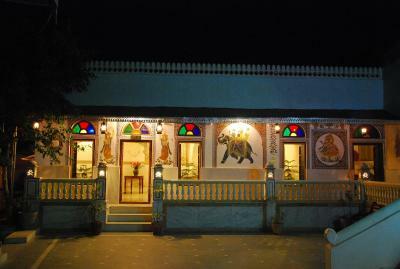 The property manager Mr. Radhey Shyam runs the place efficiently and caters to the needs of guests. My mother a super senior citizen was given special care. Thank you for a truly relaxed and happy stay. Beautiful heritage haveli, good location, friendly staff. 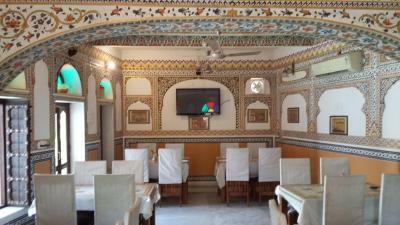 Hotel Radhika Haveli, Mandawa This rating is a reflection of how the property compares to the industry standard when it comes to price, facilities and services available. It's based on a self-evaluation by the property. Use this rating to help choose your stay! 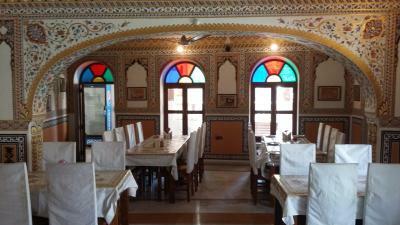 Featuring free WiFi, a restaurant and a barbecue, Hotel Radhika Haveli, Mandawa offers accommodations in Mandāwa. 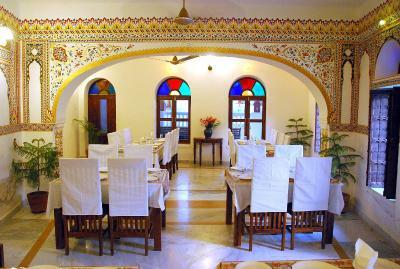 The hotel has a children's playground and terrace, and guests can enjoy a meal at the restaurant or a drink at the bar. Free private parking is available on site. A flat-screen TV and a private balcony are featured. Some units include a seating area for your convenience. You will find a coffee machine and a kettle in the room. 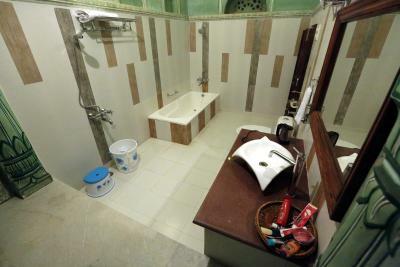 The rooms include a private bathroom fitted with a shower. For your comfort, you will find slippers and free toiletries. A TV is available. 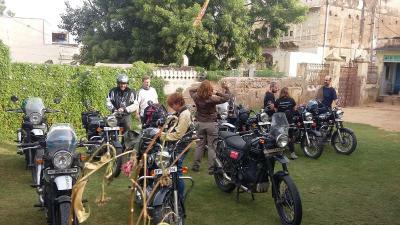 An array of activities is offered in the area, such as horse riding and cycling. 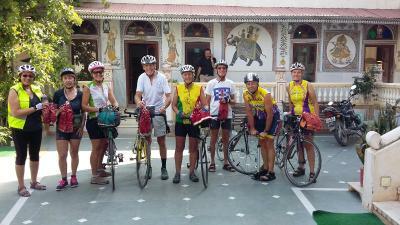 The hotel also offers bike hire and car hire. 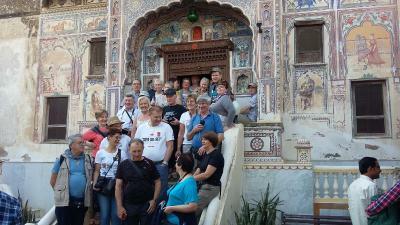 The property provides a complimentary guide for the tour around Mandawa. 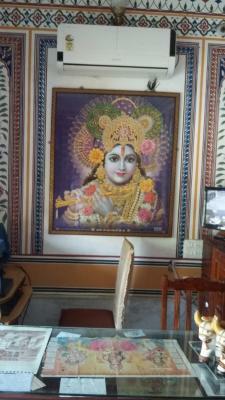 This property also has one of the top-rated locations in Mandāwa! Guests are happier about it compared to other properties in the area. This property is also rated for the best value in Mandāwa! Guests are getting more for their money when compared to other properties in this city. 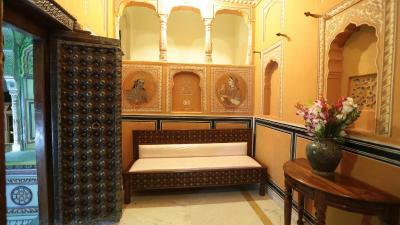 When would you like to stay at Hotel Radhika Haveli, Mandawa? 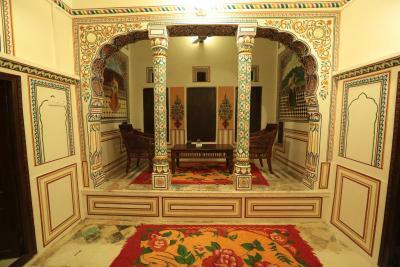 This fresco-decorated double room has a balcony, barbecue and DVD player. This suite has a balcony, electric kettle and CD player. It has a king bed. 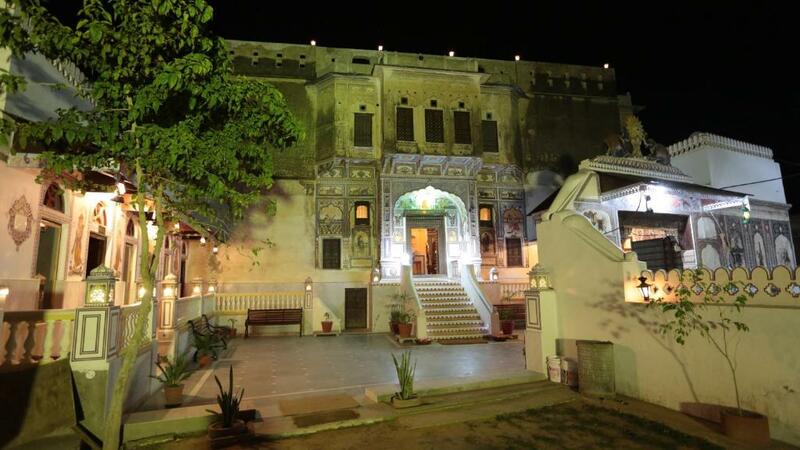 House Rules Hotel Radhika Haveli, Mandawa takes special requests – add in the next step! 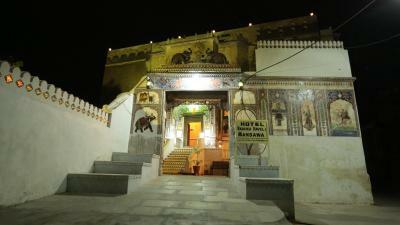 Hotel Radhika Haveli, Mandawa accepts these cards and reserves the right to temporarily hold an amount prior to arrival. 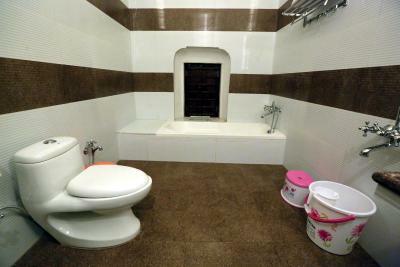 The bathroom does not have separated shower: you flood the floor each time you shower. The breakfast was not very good. We had mosquitoes in the room. A lot of noise in the room at night, because there are no windows, only shields. When we were showering, suddenly there was no water anymore, but the staff was very helpfull to fix it immediately. 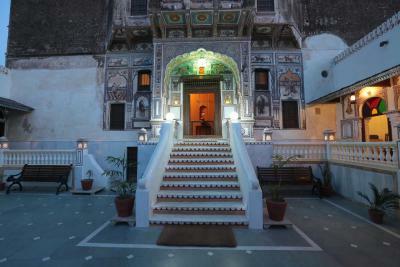 Beautiful hotel/haveli, and beautiful rooms. We’re very nice welcomed with a welcome drink and we could choose which room we would like to have. And when we departed, we’ve got a nice present from the host! 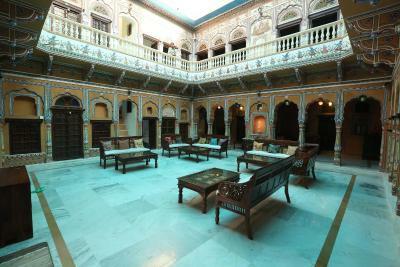 A delightfully refurbished haveli which supplied a great deal of charm. It is close to the centre yet in a very quiet area. It felt like a step back in time. Excellent staff. Beautifully restored havelli in historic old town. Very good dinner and breakfast. Nothing ( except barking dogs for some of the night which is not particular to this havelli as seems to be everywhere we stay). 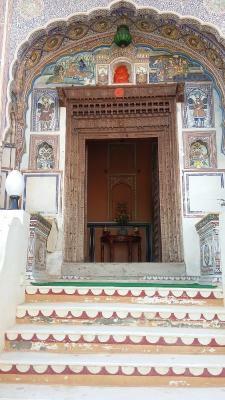 It was like being in a magical film set - a beautiful and well kept havelli. We had the delux room which had fantastic wall decoration , traditional furniture & features and a huge so comfortable ( even hot water , hair dryer and kettle!). All the staff we so hospitable and we’re a great help when we had flight troubles due to Air India - helping with phones and drove us to the bus stand. 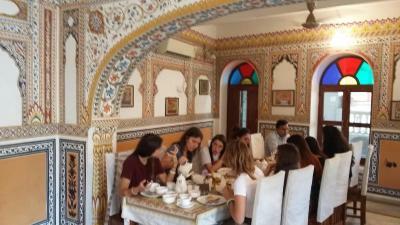 Lots of lovely touches .... great breakfast included - lots of great chai and a traditional court yard which was so appealing . 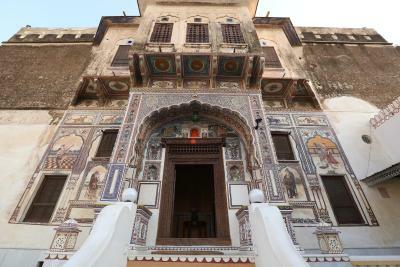 You can wander around the area and see the faded glory of the architecture / havelli houses for half a day. A couple of restaurants nearby. 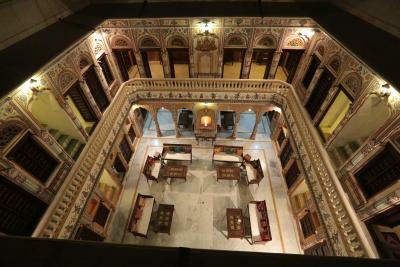 Staying in the heritage building was a perfect end to our holiday . 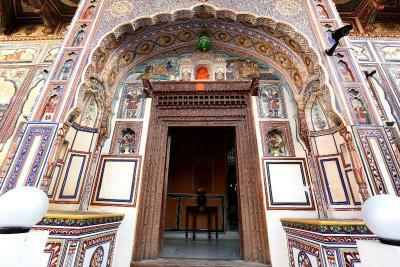 beautiful haveli, there is no other guest when i was there, so the hotel manager open all the room and let me choose the one that i like , each room is different but there are very beautiful . the staff are also nice , breakfast also good ! everything is good! Nothing really, considering the cost! 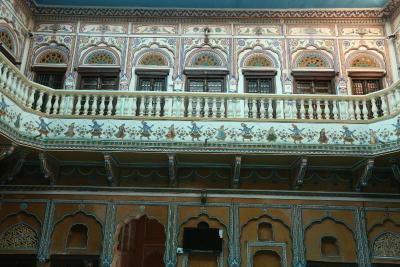 This is a lovely Haveli in the centre of Mandawa. We were not able to eat in the restaurant in the evening because it was closed, but we enjoyed a very good breakfast that was varied and plentiful. The service was first class and you really could not fault the hotel due to the fantastic value for money. From arrival to departure it was a fantastic experience . 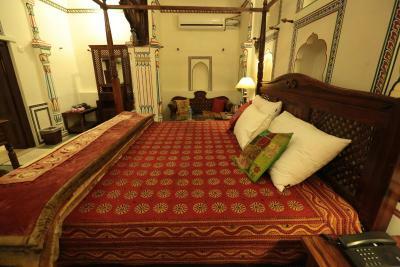 The high attention to cleanliness and the beautiful room made this an exceptional stay. Nothing was too much trouble for the friendly staff. 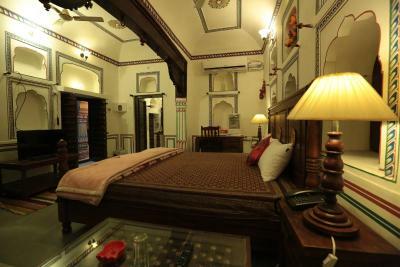 Our room was the BEST ROOM we stayed in during our 4 weeks in India!!!! We could not fault it!! !Straight out of Aladdin!! 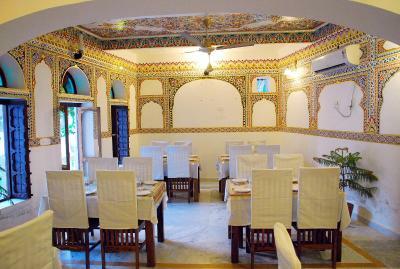 Very spacious and the haveli is maintained well.